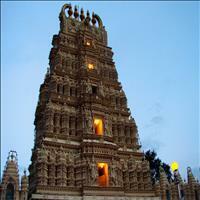 Srirangapattana has since time immemorial been an urban center and place of pilgrimage. During the Vijaynagar Empire, it became the seat of a major viceroyalty, from where several nearby vassal states of the empire, such as Mysore and Talakad, were overseen. When, perceiving the decline of the Vijayanagar Empire, the rulers of Mysore ventured to assert independence, Srirangapattana was their first target. Raja Wodeyar vanquished Rangaraya, the then viceroy of Srirangapattana, in 1610 and celebrated the Navratri festival in the town that year. It came to be accepted in time that two things demonstrated control and signified sovereignty over the Kingdom of Mysore by any claimant to the throne. 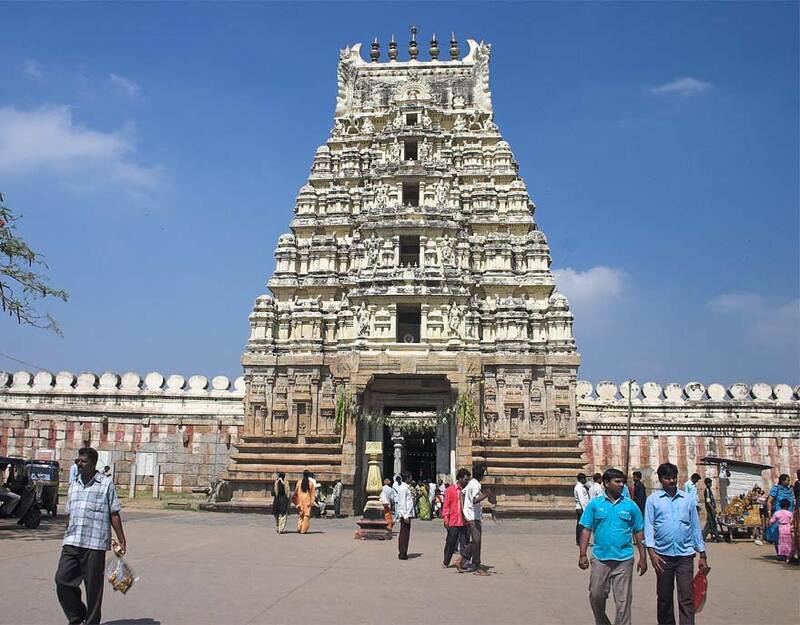 One is the successful holding of the 10-day-long Navratri festival, dedicated to Chamundeshwari, patron goddess of Mysore and second was Control of the fort of Srirangapattana, the fortification nearest to the capital city of Mysore. Srirangapattana remained part of the Kingdom of Mysore from 1610 to after India&apos;s independence in 1947; as the fortress closest to the capital city of Mysore, it was the last bastion and defence of the kingdom in case of invasion. 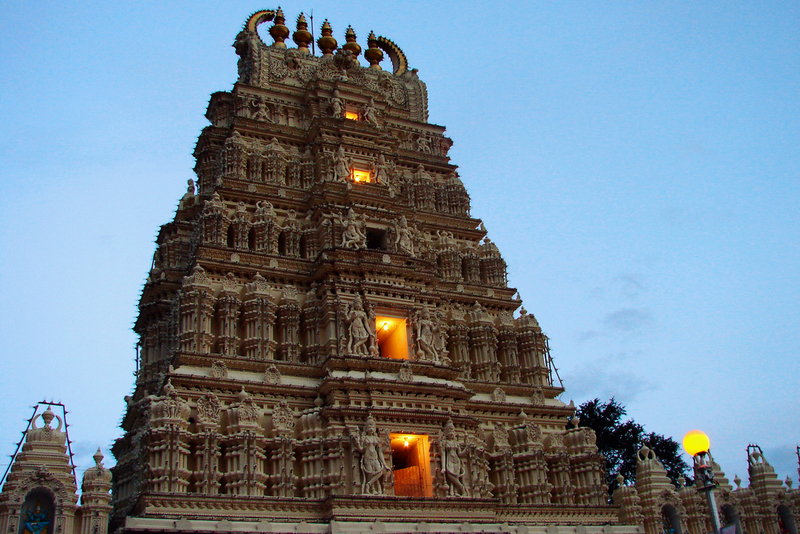 Although situated a mere 19 km from Mysore city, Srirangapattana lies in the neighbouring district of Mandya. The entire town is enclosed by the river Kaveri to form a river island, northern half of which is shown in the image to the right. While the main river flows on the eastern side of the island, the Paschima Vaahini segment of the same river flows to its west. The town is easily accessible by train from Bangalore and Mysore and is also well-connected by road, lying as it does just off the Bangalore-Mysore highway. The highway passes through this town and special care was taken to minimize any impact on the monuments. 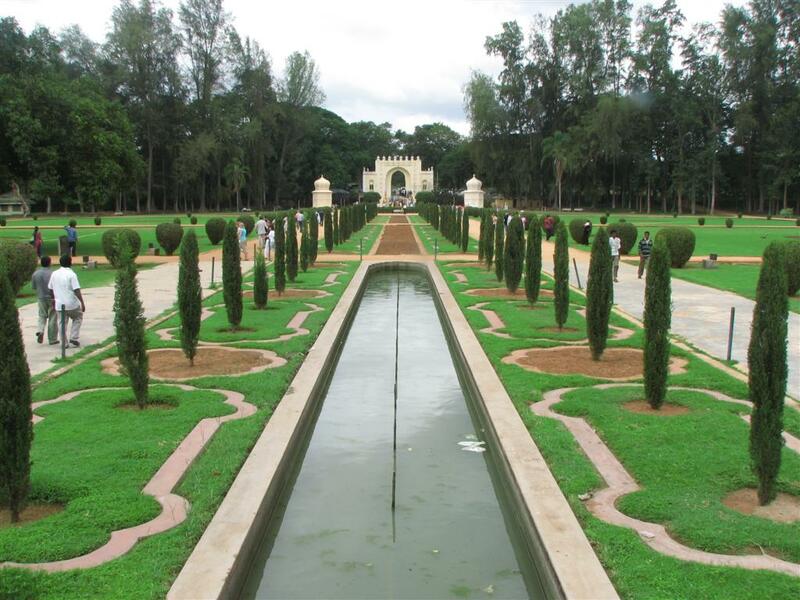 Srirangapatna can be visited anytime in a year but the best season is from September to March. Winter (November to February) are very pleasant. The temperature range during this season is between 15°C to 32°C. Summers (April to June) offer warm climate with temperature ranging from 20°C to 37°C. Monsoon (July to mid-September) offer less rainfall but it may not be an ideal time for visiting. Srirangapatna renowned for its seemingly impregnable fort, associated with the great ruler Tipu Sulthan, is situated at the western end of an oval shaped island formed by the two branches of the Cauvery, in Mandya District of Karnataka. 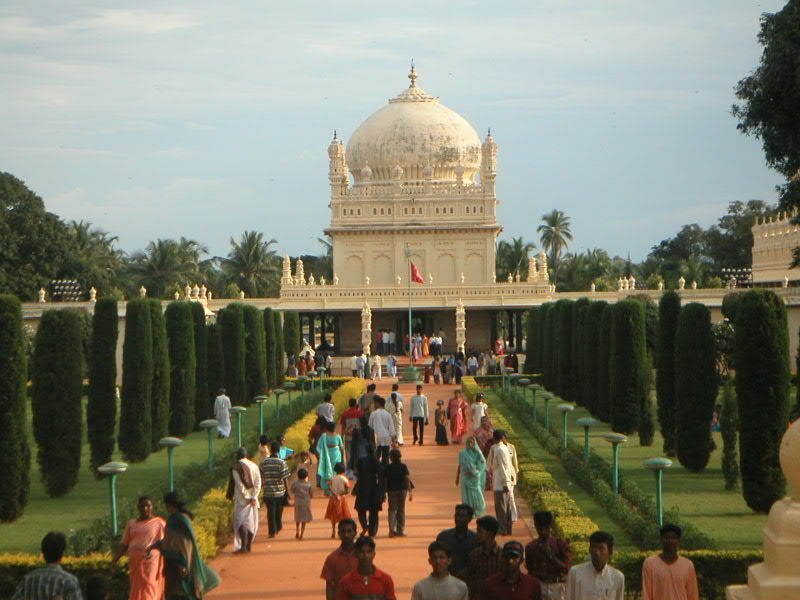 It is 15km to North-East of Mysore and 120 Km to the South-West of Bangalore. 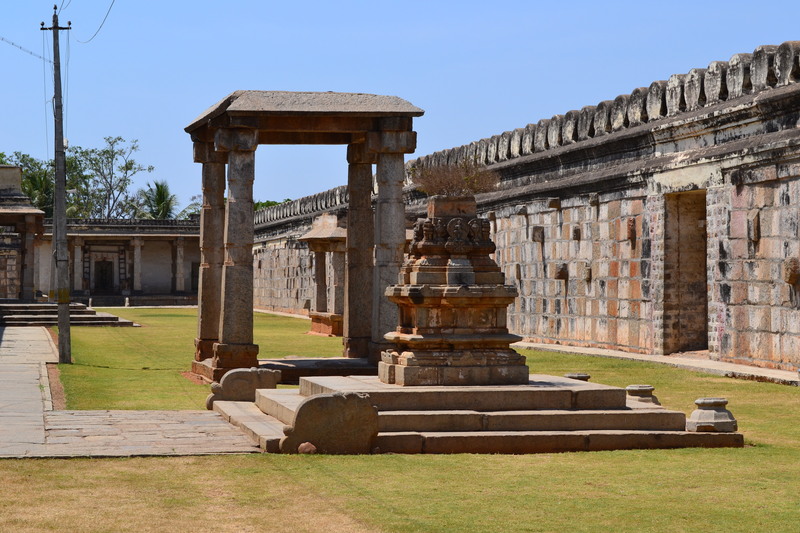 The History of Srirangapatna commences from the 9th century A.D. as revealed in an inscription of a Ganga Chieftain by name Tirumaiah, the founder of the Temple of Sriranganatha. 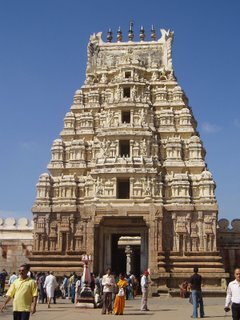 The Temple was later expanded by Hoysalas, the Vijayanagara monarchs Mysore Wodeyars anf Hyder Ali. 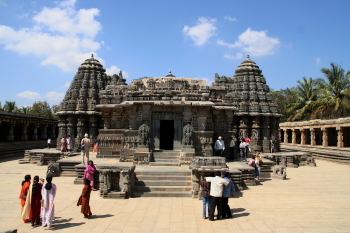 The Hoysala King Vishnuvardana(1108-1152) after conferred on Ramanuja, and his disciples, are established “Astagramas” or eight Villages including the tract of land on either side of the river Cauvery at Srirangapatna.